Every time we drive past Loch Dochart on our way up towards Crianlarich, I crane my neck to catch sight of a ruined castle. It isn’t easy to spot – sometimes I miss it – because you have to wait for a gap in the trees. And stopping on that particular stretch of road is more difficult than you’d think. But last autumn we did stop, and walked back through the woods that fringe the loch in order to get a better, and longer, look at Loch Dochart Castle. For a sixteenth-century tower house, there is not a great deal left to see, but it more than makes up for that in the romance of the setting. It stands on a little island in the loch, the sharp corners of broken stonework softened by the caress of trees, while at its feet the wind stirs the rushes that grow in the shallow water. On foot, you can’t get any closer than this. But a few years ago, my daughter Leonie paddled to the island in her kayak, so some of the photos here are hers. Who built Loch Dochart Castle? The name ‘Black Duncan Campbell’ doesn’t sound too promising, and unfortunately I haven’t found much to dispel the first impression. Otherwise known as ‘Duncan of the Black Cowl’, the 7th Laird of Glenorchy was ‘a man of considerable force of character’. He was born around 1550 and died in 1631 at the age of 81, which was remarkable for that time. 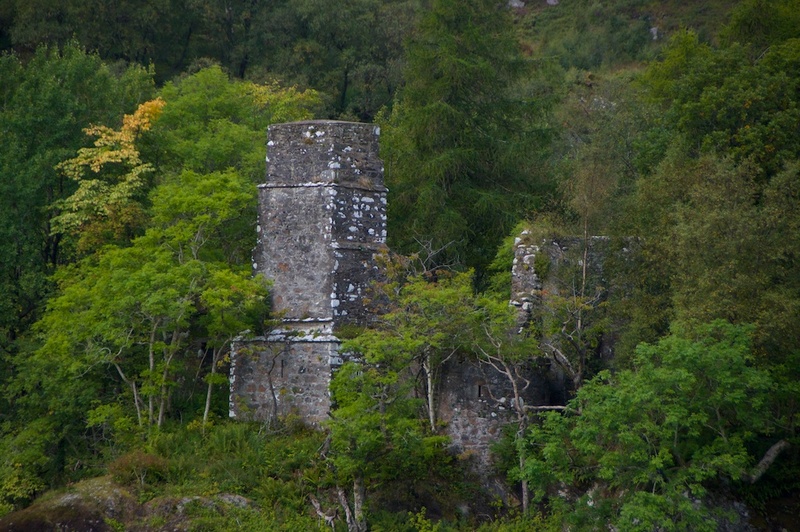 Duncan owned seven castles – Taymouth (known then as Balloch), Finlarig, Edinample, Loch Dochart, Achallader, Barcaldine, and Culchurn (now spelled Kilchurn). They all lie within the old region of Breadalbane, the ‘high lands of Alba’. I hadn’t heard of some of them, and looking them up confirmed that they are wonderful old tower houses similar to Loch Dochart. Four are ruined, while Barcaldine is now a lovely guest house and Edinample is a private home. Taymouth was re-built in extravagant style in the early 1800s. The name ‘Barcaldine’ contains the element ‘challtuin’, a Gaelic word meaning ‘hazel wood’. Perhaps, as is suggested in a couple of sources, Loch Dochart Castle was designed for comfort while the others were intended more for show or defence. Archaeological records reveal that there were also two small dwelling houses on the island, as well as the foundations of a ‘small round structure’. I wonder what this was – a broch? Or perhaps a dovecot. So what made Sir Duncan so black? According to one source, he schemed to outlaw a neighbouring clan, the McGregors, in order to seize their lands and property. And he certainly wasn’t messed around by builders. For his new castle at Edinample on Loch Earn he had specified a parapet around the roof, but when he went to inspect the work he saw that this hadn’t been done. The builder, perhaps trying to make the best of it, walked around the edge of the roof to prove that it was still possible, but Duncan pushed him off. Apparently, in recent years the ghost of the poor contractor has been glimpsed up there. 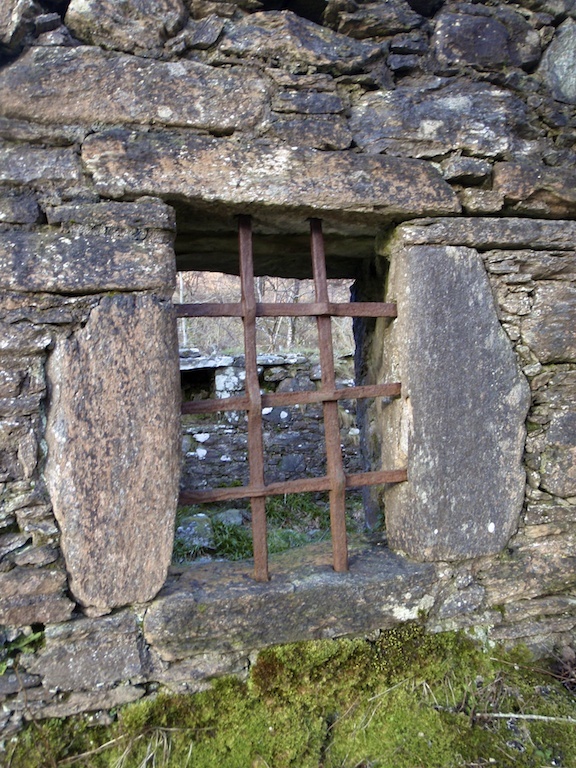 Finlarig Castle near Killin has a feature which has been interpreted as a beheading pit, which must have been quite a strong motivation for its builders to get it right first time. Sir Duncan was a gentleman of his age in other respects. He designed and planted ‘noble avenues’ of trees at Taymouth and Finlarig, and was described as a ‘liberal patron’ of the Scottish portrait artist George Jamesone. It may be Jamesone who painted him in his black cap (you can see the portrait here on the BBC’s website and there is another portrait here at the National Galleries of Scotland.) Jamesone also painted this extraordinary Campbell ‘family tree‘. Being a tenant of Black Duncan meant abiding by lots of rules. Some of them, listed in the Black Book of Taymouth, are still quite familiar – the moors were to be burnt in March, and no young trees were to be destroyed – but the stipulation that no one could drink at a brewhouse “unless they have travelled eight miles thereto” is a little puzzling. I’m guessing that taking a long circular route to the pub was frowned on as cheating. Rents were paid in kind, in the form of corn, cattle and poultry. During the Civil War in the mid-17th century, loyalties were bitterly divided among the Scots clans as families ranged themselves on the side of Charles I or the Covenanters. 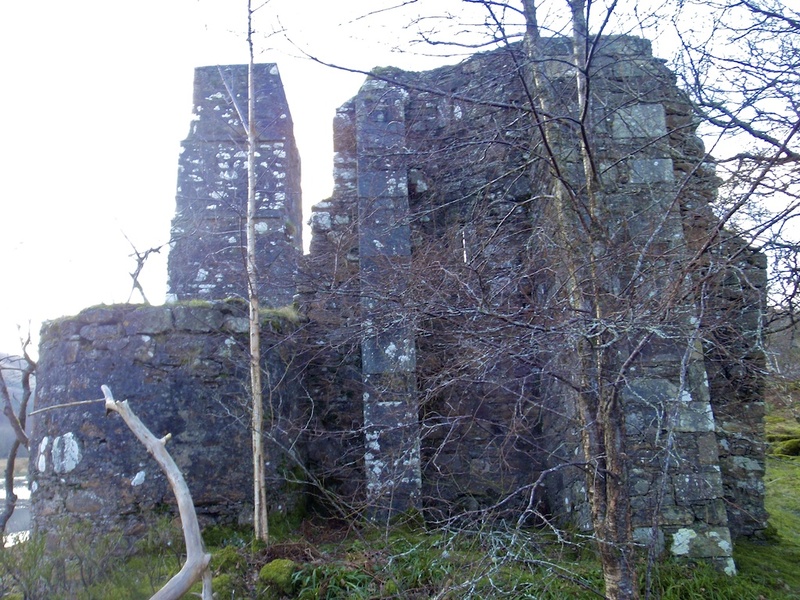 Around 1646, Loch Dochart Castle was destroyed by fire at the hands of the McNabs. Their chief, ‘Smooth John’ McNab, had sided with Charles I – he died at the Battle of Worcester in 1651 – while the Campbells joined forces with the Covenanters. The RCAHMS notes that “in the ruins of the castle were found 87 small copper coins from the reign of Charles II”, but by my reckoning these would have been minted after the castle was destroyed. Perhaps it was repaired and inhabited for a while, or maybe the coins represent a stash that was hidden in the ruins. son: John (Iain) Glas Campbell, 11th of Glenorchy, 1st Earl of Breadalbane b.1633 (who was reputed to own the best wig in Scotland). This was only going to be a short post about Loch Dochart Castle. Now I am reading about people’s wigs. But his old grandad was equally fussy about his headgear. Does that prove a genetic link? Where on earth was I? The McNabs… there is an ancient and fascinating little burial ground in Glen Dochart which has a story all of its own. If you’re travelling west, you will have already passed it by the time you get to Loch Dochart. Follow the road back to the east for a couple of miles, and you’ll see it in a field just opposite the Suie Lodge Hotel. Fast forward to the late 1800s, when the wife of a local landowner, a Mrs Place, used to take guests on boat trips to the island in Loch Dochart, braving nettles, brambles, midges and (she says) strong-smelling beds of wild garlic. She and her friends used to enjoy picnics here, and while Mrs Place was sipping her cordial she allowed her mind to wander over the ruins and imagine what they might look like if they were tidied up. It sounds deliciously like one of Jane Austen’s ‘exploring-parties’. 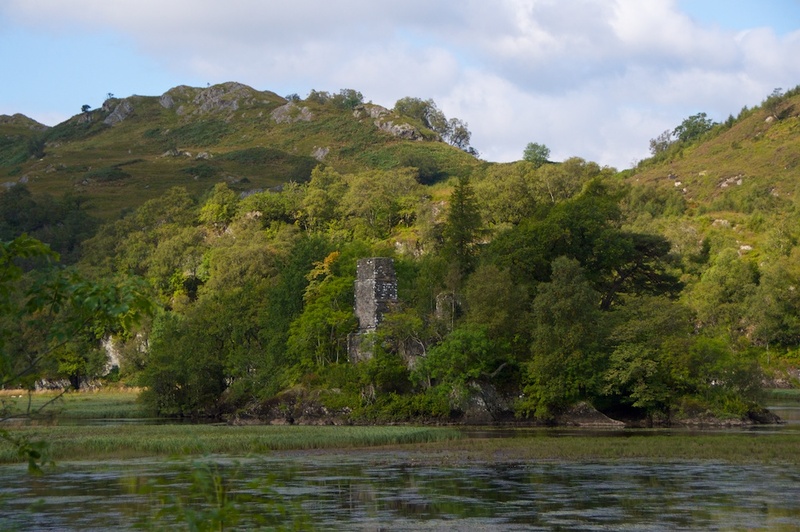 Anyway, Mrs Place was a lady of action as well as words, and she soon had some of her picnic guests and the two boatmen engaged in hacking away the thick layers of undergrowth that concealed the remains of Loch Dochart Castle. Very soon, they had revealed “a dungeon eight feet deep… with an iron staple fixed in the wall”; the fragments of a jug, which they pieced together; and some quantities of charred bone. Although the fate of the castle leads you to jump to conclusions, there’s no indication of whether this bone was human. Outside the castle were currant and gooseberry bushes, now running wild, and “a real white-heart cherry tree” – faint echoes of an ancient garden. Over the next 10 years, Mrs Place devoted three or four days each year – possibly while her husband was fishing – to the excavation of the castle. The result was a paper presented to the Society of Antiquaries of Scotland in 1906, detailing all the finds they made. What an achievement! Since then, nature has reclaimed the old walls but at least – hopefully – the artefacts are now preserved for posterity. 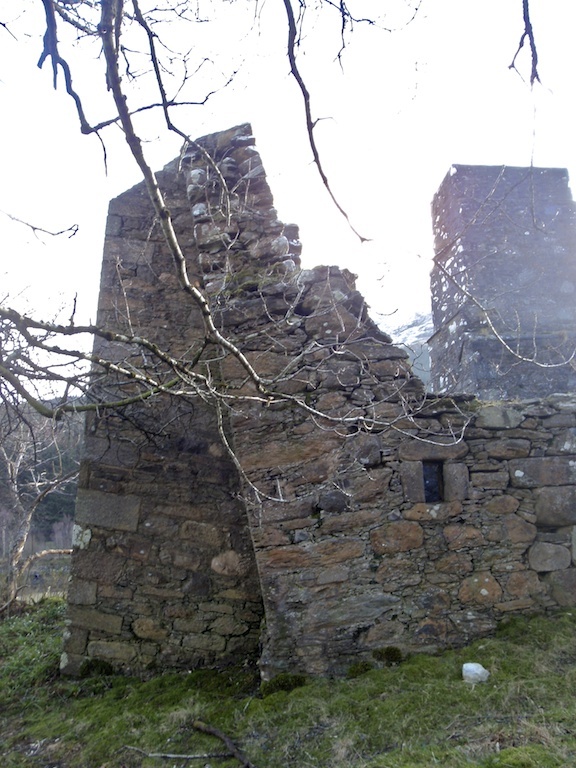 In more recent years the effigies of Black Duncan and his first wife, Jean Stewart, were discovered near Finlarig Castle, having for centuries formed part of a footbridge across a ditch. So now, what have I learned? Don’t mess with a Campbell, especially one wearing a black cap; don’t dismiss a castle just because there’s hardly anything to see; and I’ve also learned – although I knew it before – that the lovely glen that stretches from Killin at the end of Loch Tay right across to Crianlarich in the shadow of Ben More has a history that is woven with magic. 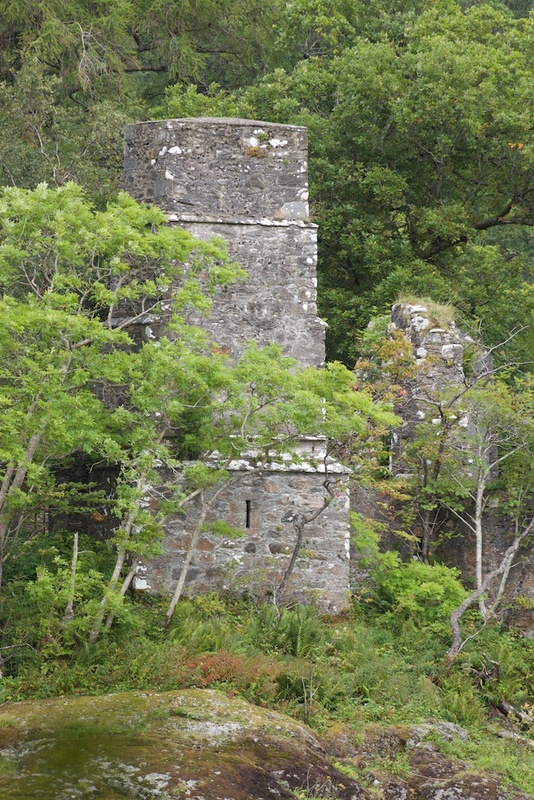 To find out more about Kilchurn Castle, take a look at this feature on The Hazel Tree. As for the others (those that are accessible), they are now on my list to visit! You might also like to read about a lovely little island in the Falls of Dochart at Killin, which is the traditional burial ground of Clan McNab. Thank you, David! I’m glad you have put it on your list. Easier to photograph in winter, I have to say! Great article Jo. Very interesting indeed. I’ve been enjoying the atmospheric photo of Glen Dochart on your Hazel Tree calendar so it was good to read more about the glen and the castle. Thank you very much, David! 🙂 Oh, Glen Dochart is really special. There’s a timeless feel there which I can’t quite describe. I remember your post about Barcaldine. It’s a beautiful looking place. 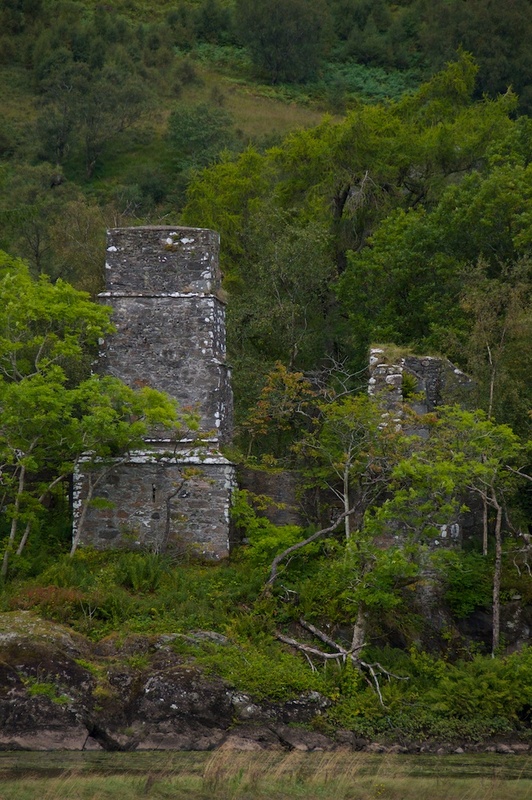 I am keen to see some of the others now – one of them at least is almost falling down – Finlarig, I think. I like the surroundings of this Castle. So do I, Cornel! It is such a tranquil place and very beautiful. I think Mrs Place just might be an interesting character, herself. 🙂 Thanks for another great article. Glad I wasn’t around in Black Duncan’s day, but they sure are interesting to hear about. So do I, Packy! A very interesting lady and quite determined by the sound of it! Yes, I’m glad I wasn’t one of Black Duncan’s servants or underlings. Although he was probably no worse than many of his time in many ways! 🙂 Thank you, really glad you enjoyed it. I wonder if the responsibility of owning seven castles led to him having a short temper. It sounds like a bit of a headache to me. One would be nice, but seven? Mrs Place sounds like a most enterprising woman. Your photographs capture the magic very nicely indeed. Haha, a very good point Lorna! That is a lesson to anyone who is thinking of collecting castles. Yes, Mrs Place does sound very enterprising but I have a sneaking suspicion I’d have been scared of her! 🙂 Thank you, glad you like the photos!